A Delaware student, Ibn Polk, was left on a school bus for seven hours in cold weather conditions. Photo from ABC News. A 5-year-old boy was left on a school bus for several hours this week in freezing cold temperatures in Delaware, reported USA Today. According to the article, the driver can be seen in the video ignoring two students telling her that a child was still on the bus, asleep. 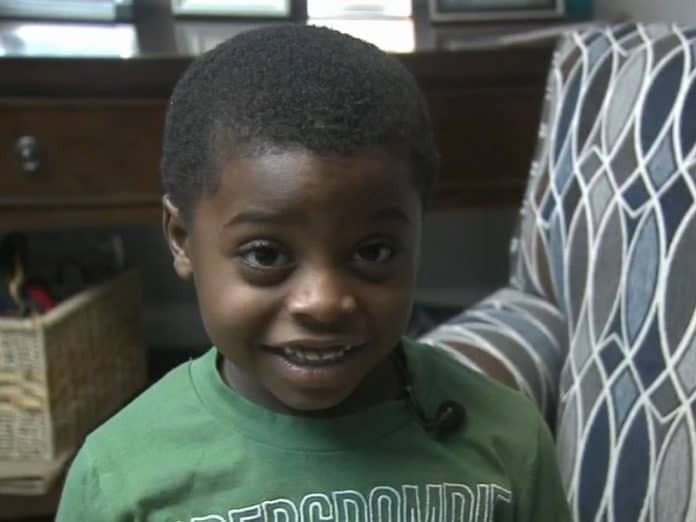 The young student, Ibn Polk, was left on the bus for almost seven hours, and was later found when the driver went back for her afternoon route. Red Clay School District admitted that several policies were not followed. The driver did not check to make sure everybody got off the bus at the school. She also did not check the bus when she arrived at the bus yard. Instead, she got off and walked away, according to the article. The driver did not notice the student until an hour after picking up the bus from the bus yard at the conclusion of the day. It wasn’t until the child either coughed or made a sound that the bus driver acknowledged the child was there. The bus was equipped with an alarm that makes drivers walk to the back of the bus to check for students. The article said it is unclear if the alarm was not working properly, or if the driver ignored it. However, protocol was also not followed at the school district. Attendance is supposed to be taken at about 10:30 a.m. every day, according to the article. The attendance was taken late that day and the parents were not notified that their child was absent. All drivers at the school district will be reminded of the safety procedures in the coming weeks. The driver had 20 years of experience and drove for contractor Sutton Bus Company. The district said the driver will no longer drive for them.